Audrey is a REALTOR who enjoys working with both buyers and sellers and she has experience with residential, small commercial, farms and vacant land properties. She serves Franklin, Fulton, lower Perry, lower Cumberland counties in PA. Western Adams County and lower Huntingdon County are also within her service area. Audrey brings over a decade of financing and mortgage experience to her real estate business having been a mortgage loan officer and founding officer of Antrim Mortgage in Greencastle since 1999. Her lending background has given Audrey the unique ability to help clients understand the complex issues during their buying and selling process. This is particularly helpful for first time buyers. Audrey has a background in human services with a double major degree in Clinical Psychology and English from Hood College and graduate credits from Shppensburg University and Johns Hopkins University in Community Counseling and Education of the Severely and Profoundly Handicapped. In addition to her years of mental health experience, Audrey has served in several capacities as a professional fundraiser, including as Director of Development for the American Heart Association and Conferences Coordinator for Wilson College (ultimately being named Assistant Dean of Continuing Studies at Wilson College). 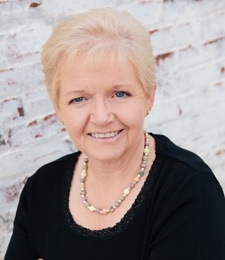 Having lived in Franklin County since 1982, Audrey is very familiar with the tri state area and enjoys helping people who are relocating to this community. She understands the clients need for information about school districts, polling places, service contractors and the many other things a new resident needs to know to make their new home feel more like home. Audrey lives on a small horse farmette in St Thomas township and enjoys taking care of the many four-legged members of the family who also reside on the farm.